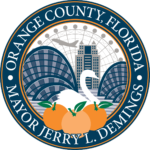 WHAT: Orange County Mayor Jerry L. Demings, in collaboration with Orlando Economic Partnership, will host the 2019 Orange County Regional Economic Summit on Friday, March 29, 2019 at the Orange County Convention Center, North Concourse from 9 a.m. to 11:30 a.m. The event is free and open to the public. Voices of the Region – that highlights representatives from various local small business and entrepreneurial programs. Mayor Demings will also be part of a panel discussion titled “Regional Topics and Vision” along with CEO & President of the Orlando Economic Partnership Tim Giuliani, Orlando Mayor Buddy Dyer, Seminole County Chair Brenda Carey, Osceola County Chair Cheryl Grieb and Lake County Chair Leslie Campione. In addition, Sean Snaith, Ph.D., director of the University of Central Florida Institute for Economic Competitiveness, will present his annual economic update. Snaith is a nationally recognized economist in the field of business and economic forecasting. Seminole County, Osceola County and Lake County.